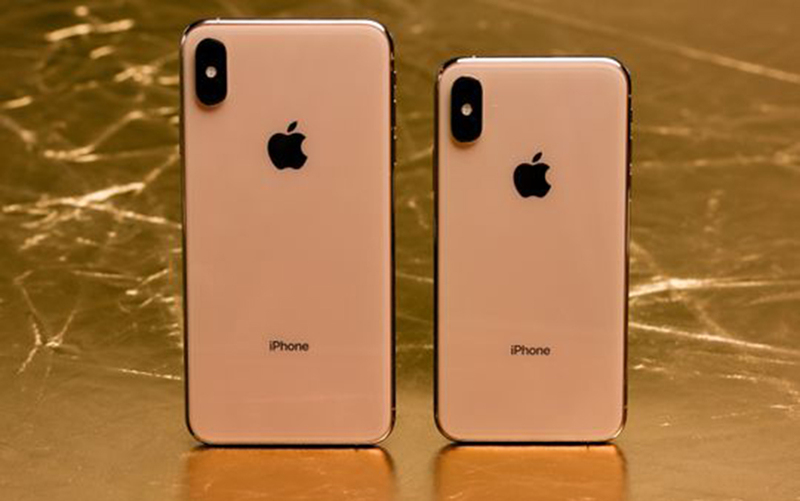 One of Apple’s latest iPhones — the XS Max — is a sight to behold. But not if you have short fingers and try to hold it. The associate at the Apple Store was short and stout — even the iPhone X was a reach for him. But, oh, the iPhone XS Max fits in my hands as if it was designed just for me. I had to have it. But the economics of owning one frazzled my brain. You can pay full price for the Max for a heart-stopping $1,100. Or you can finance one at no interest on the installment plan. In my initial research, most installment plans were for 24 months. To keep monthly payments low, some carriers wanted as much as $600 down. But when I started researching the best deals a few days later, I discovered that to keep monthly payments down even more, carriers were extending the lengths of leases. T-Mobile charges $100 down and $28 a month for 36 months. ATT wants $36 for 30 months. Sprint has deals in which your phone is turned in for a new one after 18 months. For that, you pay $25 a month. ATT has a 30-month option. By the end of the day I was totally frazzled. All I wanted was an iPhone Max with 64 gigs of RAM; more storage costs more, of course. In all plans you have to pay sales tax on the full price of the phone, which can add upwards of $100. I buy a new iPhone every year by paying off remaining balances and then selling them. While some carriers have buyback offers, they don’t match the prices I can get on Craigslist. All in all, I concluded that Apple has the best deal. Apple, through its financing partnership, requires only sales tax and the first payment to walk away with the phone. After 12 payments you can trade in your phone for the latest one. Of course, iPhone junkies like me will have to get the latest model. The payments are steep — $54 a month for 24 months for the upgrade program and AppleCare Plus. If you want Apple’s theft and loss coverage, you’ll pay another $4. That makes my payment more than $58 a month. Ouch. But if you buy AppleCare Plus by itself, you’ll pony up $299, or if cash is tight, $15 a month (bringing the total for spreading out the payments to $360 over 24 months). If you lose the iPhone XS Max, you’ll pay $269 for a replacement. A cracked screen has a $29 copayment. Other damage can be fixed with a $99 copayment. A big plus for buying directly from Apple is the help the employees will give you to get up and running. My experience, as with all my experiences in the Apple Store, was incredible. (You can buy iPhones at the Apple website or by phone, too.) An associate spent 45 minutes cheerfully explaining the phone’s features and helping restore the iCloud backup from my old phone (last year’s X). For me, the Apple Store is Toyland. I own almost everything they make. I don’t usually buy extended warranties, but the combination of damage and loss protection, plus tech support, strikes me as a fair deal. Confused? I was, too. One thing is for certain: No matter which plan you choose, and how much you put down, you’ll wind up paying $1,100 for your new phone. Plus tax. Plus AppleCare Plus. My total bill with all that came to more than $1,500. For a phone? It is what it is, fellow iPhone junkies.